This article is about the film director. For the brothers Jerry and Orrin Zucker, see It’s JerryTime! For other people named Jerry Zucker, see Jerry Zucker (disambiguation). 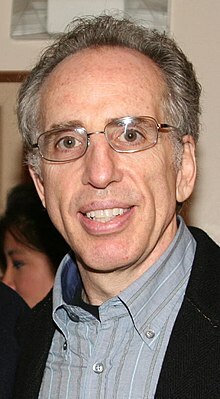 Jerry G. Zucker (born March 11, 1950) is an American film producer, director, and writer known for his role in directing comedy spoof films such as Airplane! and Top Secret!, and the Best Picture-nominated supernatural drama film Ghost. Jerry Zucker and his older brother, David Zucker, collaborated on several films. Zucker was born to a Jewish family in Milwaukee, Wisconsin, the son of Charlotte A. (Lefstein) (d. 2007) and Burton C. Zucker, who was a real estate developer. He graduated from Shorewood High School. Zucker's early career work started with Jim Abrahams and brother David Zucker. The trio performed in Madison, Wisconsin as a sketch and comedy troupe called "Kentucky Fried Theater". From there the three went on and together co-directed Airplane! in 1980 and then went on to do Top Secret! in 1984, and Ruthless People in 1986. In 1990, he lent his directorial skills to the dramatic genre with Ghost, which was nominated for an Academy Award for Best Picture. Recent directorial efforts of Zucker's include the 2001 film Rat Race. Zucker's films have been ranked among the greatest comedies of all time: Airplane! was ranked at the top of Entertainment Weekly's list of best comedy films and AFI listed it as #10; Top Secret! made Entertainment Weekly's Top 100 list. Like his brother David Zucker, Jerry often cast his mother, Charlotte (who died in 2007), and his sister, Susan Breslau, in small roles in his films. Along with Jim Abrahams, the Zuckers constitute the "ZAZ" team of directors. Also second unit director in Rock 'n' Roll High School (1979). ^ "Jerry Zucker-Biography". Yahoo! Movies. ^ Desser, David; Friedman, Lester D. American Jewish Filmmakers. p. 166. ISBN 9780252071539. ^ "25 years and still laughing: 'Airplane!' maintains its cruising altitude with a non-stop zany attitude" Archived 2008-04-30 at the Wayback Machine, Milwaukee Journal Sentinel, June 11, 2005. Accessed September 17, 2007. "The event is in honor of the volunteer service and philanthropy of Louise Abrahams Yaffe and her son Jim Abrahams, who wrote and directed "Airplane!" with fellow Shorewood High School and University of Wisconsin–Madison graduates David and Jerry Zucker." ^ Kaltenbach, Chris (August 22, 2001). "Jerry Zucker Still Flies High on 'Airplane!'". Los Angeles Times. This page was last edited on 29 March 2019, at 23:11 (UTC).